NEWPORT BEACH, Calif. – Newport Beach & Company, the marketing agency for the City of Newport Beach, announces the addition of Jenny Wedge as Senior Director of Media Relations and Brand Management and Reilly Wilson as Media Relations and Communications Specialist. Jenny Wedge joins Newport Beach & Company with more than 15 years of experience in media relations, crisis communications and strategic planning. 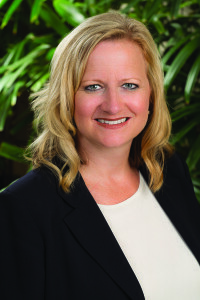 Wedge most recently spent 10 years with John Wayne Airport in Orange County, where she served as public relations manager and public information officer. In those roles, Wedge acted as the first line of communication with media and managed relationships with contractors, tourism partners, and the public on behalf of the organization. Prior to her work with John Wayne Airport, Wedge was communications specialist for the Orange County Water District – Fountain Valley, responsible for media relations and internal and external communications. 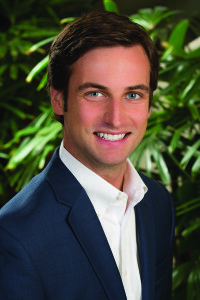 Wedge is current secretary of the board of directors for the Orange County Visitors Association (OCVA), as well as the president of the Orange County chapter of the Public Relations Society of America (PRSA). She holds a bachelor’s degree in communications from California State University, Fullerton. A native of Orange County, Reilly Wilson brings three years of media relations experience to the Newport Beach team, having most recently spent two years at The Walt Disney Company in Anaheim as public relations manager for Disney Destinations. Wilson held an internship with Viacom International and graduated with a Bachelor of Arts degree from Loyola Marymount University in Los Angeles. Wedge and Wilson join recent Newport Beach & Company addition Michelle St. Amour, who oversees sponsorship and ad sales revenue as business development manager. Founded in January 2013, Newport Beach & Co. is a non-profit organization established to serve as the official marketing agency for the city of Newport Beach. The agency brings together all of the marketing entities connected to the Newport Beach brand, and is designed to oversee separate business units that include Visit Newport Beach, Dine Newport Beach, Celebrate Newport Beach, Enterprise Newport Beach and Newport Beach TV. Additionally, Newport Beach & Co. includes the Newport Beach Foundation focused on creative charitable endeavors that support the business community. For more information, please visit newportbeachandco.com.